Here are 10 1/2 fun facts about Zeke, who is 10 1/2 months old. 1. He thinks it is hilarious when you take off his socks or pants. He laughs out loud. 1.5 He also loves to take off his socks by himself in the car, but somehow it’s not as funny when he does it. I guess it’s like how you can’t really tickle yourself. 2. He is now tall enough to reach the top of tables, end tables, night stands, and desks while standing up. Watch out, everything! 3. He loves to kiss. He kisses by pressing his open mouth against some part of your head, very purposefully, and with much slobber. 4. He just graduated from his infant car seat and the stroller that the infant seat snaps into, and is now using a big boy convertible car seat in the car and sitting facing forward in a stroller where he can easily snack. This is better for my back since the combined weight of him and the infant carseat was painful, but it also limits our sleep inducing options because we can no longer drive him somewhere and bring him into the house still asleep. But he was growing out of the baby seat anyway, so we didn’t have much choice. The height limit was 32″ and he’s about 31″ and growing by the second. 5. He loves to eat. So far he has refused very few foods, and I think those are baby food blends that include lentils or onions or things that are too chunky. But most veggies and fruits he loves, and he’s eaten pureed beans and chickpeas and meats. He has eaten things that I’ve never even eaten, such as kamut and amaranth. He’s also begin eating people food, including cucumber, cheese, and of course the baby staple of cheerios. 6. He is still nursing. My goal is to make it to his first birthday. Sometimes he nurses while doing downward dog. Also he’s getting a new tooth, and it’s sharp. 7. He just learned how to put the blocks with holes in them back onto the pegs, after previously only demonstrating an ability to hold the pegboard upside down or pluck the blocks off individually. 8. He loves to wave. He waves hello to family members, to other babies, to the people on tv, to the people singing on the stereo, and to things. 9. He loves to tap and pound. 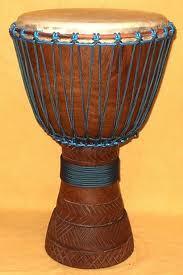 We have two actual drums, one of which is Zoe’s and one, a djembe, that I gave to Randy a few years ago. Zeke plays them. He also plays the high chair tray, tables, and any other surface. He can also tap his feet rhythmically while nursing. 10. He loves doors and hinges. He could open and close a door for hours. So far he has squished his fingers in a door once, but that hasn’t dampened his affection for the doors. You always hear about how the best thing for babies and kids is consistency. I would rather focus on the virtue of flexibility. As a parent and as the owner of a small business, no two days of my life are ever alike. There’s no consistency from day to day. There are many things I’d like to do every day but don’t, or plan to do but can’t. I don’t do routine that well. Maybe there are babies and children out there who are consistent, but mine aren’t. And their parents aren’t. We do feed them consistently, although not on a fixed schedule. We keep them clean. We consistently go into their rooms during the night when they cry. We give them countless hugs and kisses every day. And we are consistently late. I am almost 40 so it seems unlikely that my consistent inability to do anything at the same time day after day will change. So I just need to stop consistently feeling guilty about it. Sometimes you end up nursing your baby in the driver’s seat of your minivan in the parking lot of McDonald’s because his persistent screaming from the back seat was about to make you plunge your car into a snow bank. No varieties or volume of music would assuage him, nor your own voice, which is admittedly becoming less soothing. You’re on your way home. It’s been a long day filled with things that did not go well. Why is he screaming? It’s anyone’s guess. He is probably teething. Although he has seemed like he has been teething for the past six months or so. He is probably hungry, because it’s dinner time. You’re hungry. You plied him with cheerios and yogurt melts earlier, and you attempted to give him milk. But as is his habit lately, he will not breastfeed when there are people or things nearby that might be remotely stimulating. He drinks a few sips and–although you know he is hungry and you know plenty of milk is available–he wrests away and tries to throw himself onto the floor so he can crawl toward something compelling, like a glass object. He may be crying because his sister is not in the back seat with him as she usually is, since she has just been dropped off for a sleepover. She is a reliable source of companionship, entertainment, and cheer, and she is missing. He may be tired–as you are–and crying is his favorite way of expressing that. He may be frustrated that he has removed one of his socks but not the other. There is no telling. But you realize you cannot make it home while enduring the screaming any longer, so you pull into the parking lot, as far away from other cars as possible, and try to nurse. At first he refuses, clinging to his tears and then distracted by the novelty of the steering wheel, the gear shift, the buttons that control the music and temperature. Eventually, thankfully, basic desire for nourishment overcomes innate curiosity and he turns to you for milk. And he drinks. After a while you step gingerly out of the car and oh so carefully try to put him back in his carseat, talking softly to him to try to erase any lingering memory of his previous activity there. He is quiet. You strap him in. You get back in the driver’s seat and start to pull back onto the road. He starts to cry again. Your heartbeat accelerates and your hands clench the steering wheel. You start to sing “Old MacDonald” (no relation to the restaurant–different spelling) and run through your mental catalogue of 15 or so animals. He is quiet again. You are so tired you start getting the animal noises wrong. You switch to “The Wheels on the Bus” and exhaust the list of bus features and riders. He is still quiet. You stop singing and feel profound gratitude for the silence.